Over 1 million plastic bottles are purchased every minute and nearly 80% of these end up in our landfills and oceans. At this rate, the amount of single-use plastic ending up in our oceans will outweigh fish by 2050, unless we make a change. 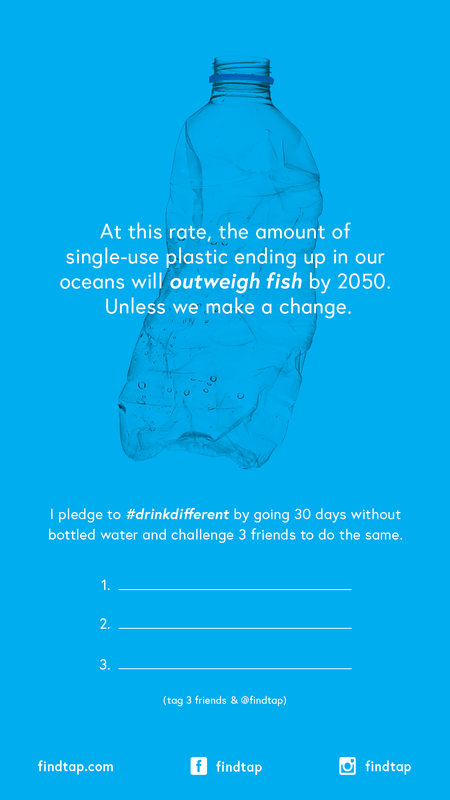 Join millions of people in taking the #drinkdifferent pledge around the globe. To create real change and reduce the amount of single-use plastics ending up in our oceans, we need your help. 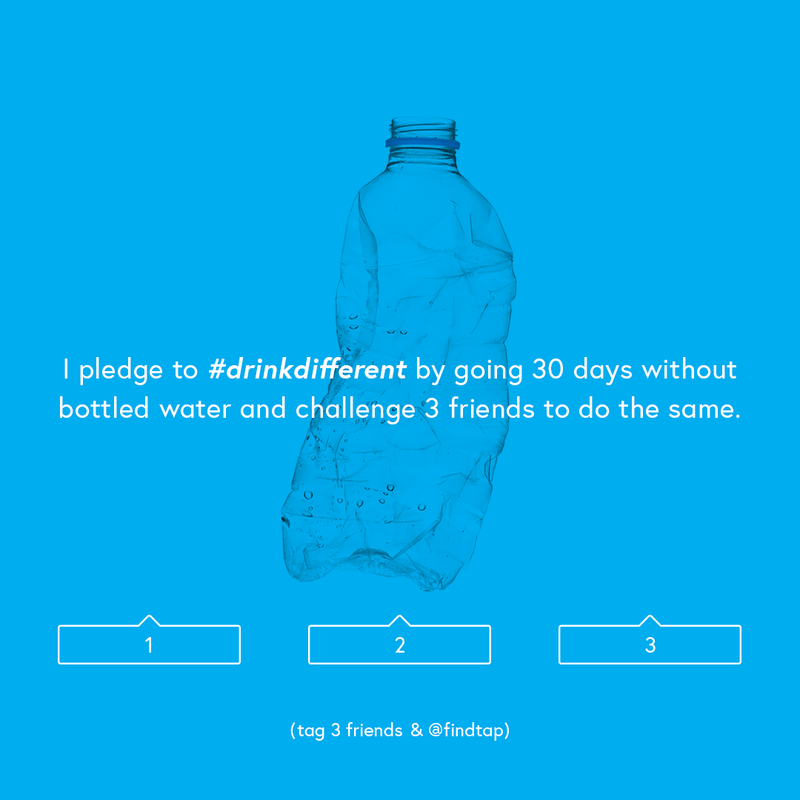 Take the pledge to go 30 days without buying bottled water. Share your pledge on social media and encourage your friends to do the same. All the eco-friendly products you’ll need to join the #drinkdifferent movement. This limited-edition kit is everything you need to join the #drinkdifferent movement. Tap’s Refill Station network is partly made up of partnerships with coffee shops and fast-casual restaurants, while also showing you best public places to refill your water bottle around the world. Whether a drinking fountain or a filtered water ATM, you’ll be sure to find it on Tap. It’s free to sign up and only takes 5 minutes. By becoming a Refill Station, your business proudly welcomes new customers into your establishment to refill their water bottles. Once you become a Refill Station you’ll immediately have a profile on our app and receive your window sticker in the mail shortly after. Your new customers will grow to love your other products, and your existing customers will love your commitment to the environment. Our Refill Stations reduce their carbon footprint, while increasing their bottom line. Rewarding volunteer work, while helping the planet, what more could you ask for? I , pledge to stop purchasing single-use plastic water bottles for 30 days.